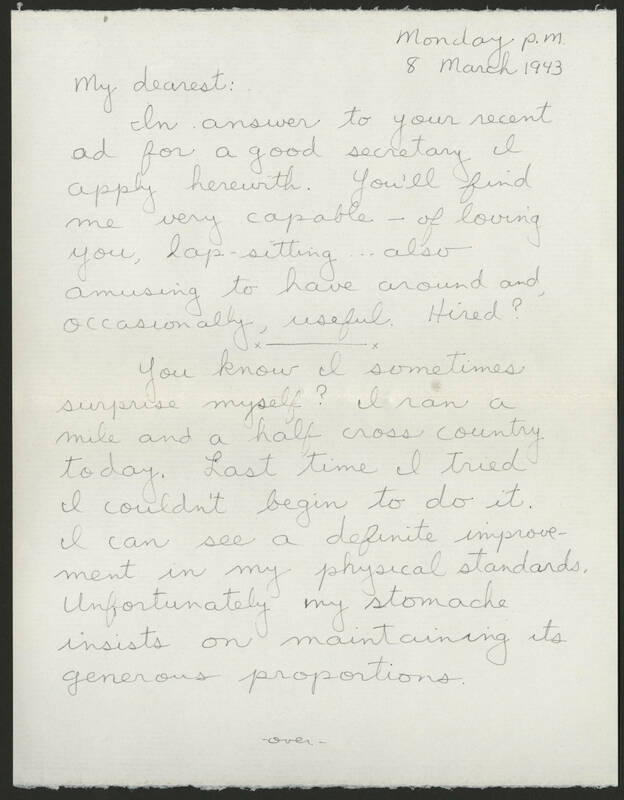 Monday p.m. 8 March 1943 My dearest: In answer to your recent ad for a good secretary I apply herewith. You'll find me very capable - of loving you, lap-sitting ... also amusing to have around and, occasionally, useful. Hired? You know I sometimes surprise myself? I ran a mile and a half cross country today. Last time I tried I couldn't begin to do it. I can see a definite improvement in my physical standards. Unfortunately my stomache insists on maintaining its generous proportions.